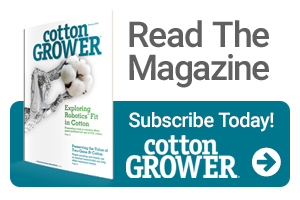 The wet and cold 2016 planting season reminded us all about the fragility of cotton seed and the difficulty in establishing an adequate stand when Mother Nature is not cooperative. Although it was somewhat abnormal for adverse planting conditions to last throughout most of the planting window as observed in 2016, we can expect to encounter short periods of less-than-optimal conditions at some point throughout our planting window in most years in North Carolina. Therefore, it may behoove most growers to keep a few key points in mind throughout our planting window every year, and take the necessary steps to avoid potential problems. In years like 2015, when planting conditions were ideal across much of the state, it is easy to overlook some of these points when optimal stands are easily achieved, and, in years like 2016, when planting conditions were some of the worst on record, some problems may be unavoidable. However, in most years, some problems we encounter during planting can be avoided. Below are a few tips to consider that may help growers achieve optimal stands and early season growth, while avoiding the need to replant. Tip #1: Know what you purchased. This is commonly overlooked, but is very important. Growers should document every lot number of seed they purchase, along with the seed treatment (list all products included in seed treatment) and whether seed was treated upstream or downstream, warm and cool germination percentages (contact your dealer or seed company rep for cool germ values), and seed size (seed per lb) which is either explicitly printed on the bag or can be calculated by dividing the number of seed in a bag by the bag weight. The lot number and seed treatment code are printed on each bag and are a record that can be traced in case you have questions later or encounter problems with emergence. Knowing the type of seed treatment informs you of which products are included and rates of each for thrips management, and whether or not it includes additional fungicides or nematicides. The importance of knowing both warm and cool germination percentages have been discussed in previous articles, but you must take extra effort to secure cool germ values. Knowing seed size (seed/lb), along with warm and cool germ values, is a good indicator of likely seedling vigor relative to other varieties. Lastly, we encourage all growers to save a small sample (Ziploc bag full) of seed from each lot number they purchase, in case problems occur during planting, so that seed can be re-evaluated for various factors. Tip #2: Adjust your planting depth. One of the most common mistakes I see is growers planting cotton too deep. Cotton is a very weak plant when it is young. It generally struggles to sprout, emerge, and grow until it reaches the 4-5 leaf stage. 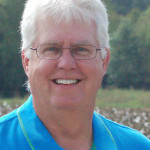 In many cases, I see cotton planted at depths one inch or even greater. In years like 2015, when warm temperatures and optimal moisture promote rapid emergence, problems with planting too deep seem infrequent. However, excellent planting conditions are NOT normal for us, nor should they be expected. Planting too deep WILL result in poor emergence and poor stands in most years, especially when less-than-ideal conditions prevail. In most cases, growers set their planters at a certain depth and roll on, and do not make adjustments for weather or seed size. In some cases, growers will plant deeper than they should to chase moisture. It’s important to realize that the deeper cotton is planted, then the more time and energy it will have to expend to fully emerge, which lowers its chances of achieving an optimal stand, increases its likelihood of encountering injury of various sorts, and results in a weaker seedling that has expired many of its energy reserves, as well as seed treatment insecticides. IF they emerge, seedlings are often weaker and more vulnerable to thrips and seedling diseases. Cotton should be planted at 0.5 to 0.7 inches deep at most, from the top of the seed to the top of the soil. For modern planters, the center of the furrow is often higher than the edges, therefore growers should consider the distance from the seed itself to the soil surface directly above the seed (not the sides or walls of the furrow). In fields with a history of crusting, seed should be placed at even shallower depths (if adequate soil coverage can be achieved) and/or planted in a hill-drop configuration. In no-till situations, it is generally advised that cotton be planted as shallow as possible while effectively covering the seed with ideal soil-to-seed contact. In all cases, it is important to plant into adequate soil moisture. When “chasing” moisture by planting at deeper depths, soil moisture is usually marginal at best. Unless you are planting very late in the window and under excellent temperatures in soft soils without a threat of crusting, it may be best to plant shallower and wait on a rain. Chasing moisture presents a significant challenge in some cases. Ideally, cotton would be planted into sufficient moisture for germination and emergence to avoid herbicide injury. Dusting cotton in and waiting on a rain may sometimes result in the first drink of water containing significant amounts of herbicide which can result in injury. However, the same results could occur if you plant deeper to chase moisture, and that moisture expires before adequate germination and emergence can occur. If possible, it is generally best to delay planting and wait on a rain so that you can plant into adequate moisture. The point of all this is to state that there is no one-size-fits-all planting depth, and that it should be adjusted for various situations. Tip #3: Manage according to vigor. This is really a combination of Tips 1 and 2. Knowing a variety’s warm and cool germ values, along with seed size, is a great predictor of relative vigor (i.e. how one variety compares to another in terms of vigor). Larger seeded varieties with higher cool germ values can tolerate slightly deeper planting and slightly cooler weather than smaller seeded varieties with lower cool germ values. In very poor conditions, like we observed in 2016, all seed sizes will likely experience challenges and result in poor emergence. In great conditions, like we observed in 2015, all seed sizes can achieve an optimal stand and early season growth. But in marginal conditions (less than ideal, but not terribly poor), seed size and warm/cool germ values can mean the difference in achieving an optimal stand or not, depending on how deep your seed are planted. Let’s be clear…unless you have fields that present significant challenges with stand establishment in every year or most years, you probably would want to make your variety decisions based on performance (yield potential and stability, fiber quality, trait packages, etc.). However, vigor and seed size are important to consider during planting, and your management practices and planter depth may need to be adjusted depending on your soils and prevailing conditions. This chart illustrates the vigor ranking of all varieties in the 2015 and 2016 NC On-Farm Cotton Variety Evaluation Program. The results from each year are not meant to be compared across years, due to vastly difference conditions between those years. However, the comparison of varieties within each of the two years may give you some idea as to which varieties may be more vigorous than others (smaller seeded varieties may need to be planted shallower and in better conditions than larger seeded varieties, depending on environmental conditions). This second chart shows the correlation between seed size (seed/lb) and vigor ranking of each of the varieties in each year separately. This figure shows that roughly 65% of seedling vigor ranking (how one variety compares to another) is related to seed size. Again, it would be important for you to document seed size as printed on the bag for YOUR lot number, and compare that to other varieties you purchase, as well as warm and cool germ values – all of which can vary across lot numbers. Tip #4: Manage your seeding rates for planting date, environmental conditions, soil types, etc. Seeding rates have been discussed in previous articles, but generally speaking, NC growers should be planting at rates of 38,000 to 45,000 seed per acre, depending on various factors. Adjustments in seeding rates are warranted at different planting dates, environmental conditions and soil types. There is no one-size-fits-all seeding rate. Higher rates should be planted in less-than-ideal conditions as is often observed in the early part of our planting window, and higher rates should also be planted towards the end of our planting window to manage for earliness. If stands are poor, optimal yields will not be achieved in any scenario. However, skippy stands can have a greater impact on later-planted cotton because of the reduced time cotton is allowed to compensate. Additionally, the lower range of recommended seeding rates only apply to excellent planting conditions (more likely to occur in the middle part of our planting window) in soft soils with ideal moisture. In challenging fields that often develop a surface crust or in less-than-ideal planting conditions, higher seeding rates should be used. This applies to any other scenario that might result in poor stands. Tip# 5: Watch the weather forecast, and adjust your practices accordingly. Throughout every planting window, Dr. Keith Edmisten does an excellent job of posting online bi-weekly weather predictions and projections for DD60 accumulation, and alerts growers as to when conditions are favorable for cotton planting. These alerts can also be used by growers to adjust seeding rates, planting depths, and manage planting for different varieties. Additionally, paying attention to weather forecasts (as well as planting depth and vigor characteristics) can help avoid potential issues with herbicide injury. For example, Warrant is a commonly used herbicide that can be applied both pre and post emergence. As seen in Dr. Alan York’s research over the last several years, this herbicide is very effective and is an integral part of many weed management programs. In many years, there are little to no problems with the use of the herbicide when planting conditions are good and seedling emergence occurs within a relatively timely manner (4 to 6 days after planting or so). When planting in poor conditions and when seedlings are very slow to emerge (8 to 10 days after planting or longer), injury is likely as the encapsulation of this herbicide has broken down, and seedlings emerge through a high concentration of herbicide. Adjusting planting practices accordingly with consideration of forecasted planting conditions can help growers avoid this issue. Growers DO NOT apply starter fertilizers IN-FURROW. The last point is the most important. Now that many growers are using in-furrow liquid insecticides, there is an interest in applying starters in-furrow as well. Growers may get away with it several years in a row. However, when problems occur, it is usually severe and necessitates a replant without any recourse for producers. Therefore we DO NOT recommend any starters be applied in-furrow for cotton. Tip# 7: Ensure that liquid in-furrow insecticides contact seed. This can be done in several ways, but it is critically important that liquid in-furrow insecticides directly contact seed and good coverage is achieved. Growers could expect less-than-ideal thrips control if coverage is not adequate. This is especially important now that thrips resistance to neonicotinoids has been observed in NC. Additionally, growers have expressed an interest in reducing at-planting costs in recent years by cutting out the seed treatment and using only the liquid in-furrow products. Some growers may not observe much thrips injury when doing this when thrips numbers are low and seedlings are growing vigorously. However, neglecting to use a seed treatment is not advised, as Dr. Dominic Reisig’s research indicates that a liquid in-furrow insecticide alone results in similar thrips control to a seed treatment alone, which we know is not adequate. In addition, without the seed treatment present to provide some protection, there is NO room for error in application of the liquid in-furrow insecticide and its direct contact with seed. Lastly, growers should compare the concentration of active ingredient across many of the in-furrow imidicloprid products. Some generics have a lower concentration of active ingredient per gallon of product compared to Admire Pro, therefore they need to be used at higher rates in order to be equivalent to Admire Pro in terms of active ingredient per acre. See our previous article on this issue and apply all products according to their label. In all cases, thorough and frequent scouting for thrips presence (both adults AND juveniles) and injury is necessary, and we emphasize the importance of TIMELY foliar sprays if warranted. Delays in foliar sprays, if scouting suggests that an application is needed, can result in significant yield losses.